The Wilmington - This beautiful 5 bedroom, 3 bath home features an entry foyer, separate dining room, and office/study. Also on the main floor is the spacious kitchen with an island, granite countertops, and a breakfast area, which opens to the fireside family room. The master suite on the second level includes a sitting area, his/hers walk-in closets, and a private bath with his/hers vanities, garden tub, and shower. Also upstairs are 3 secondary bedrooms, a full bath, and the laundry room. Some of the features of this home includes a covered back porch, hardwood & tile floors, granite countertops, and a tile master shower. This home is UNDER CONSTRUCTION. 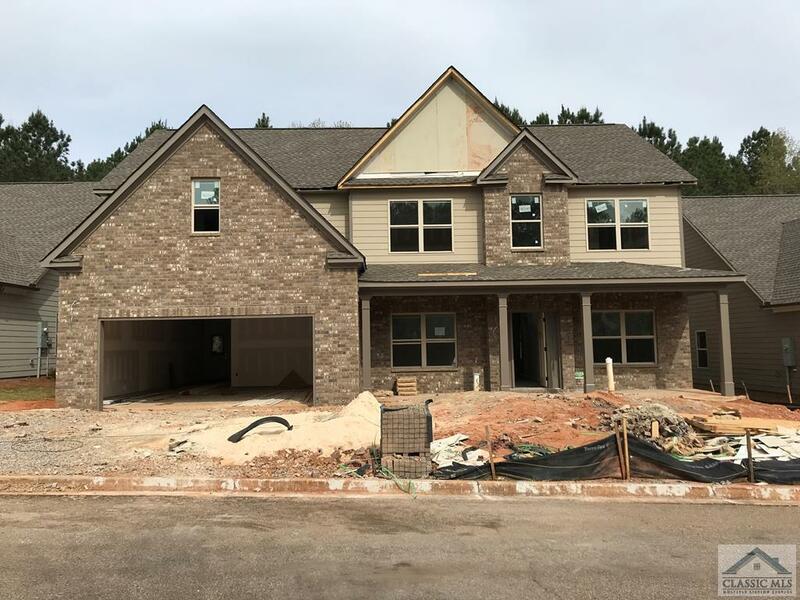 233 Meeler Circle, Bogart GA 30622 is a Home, with 5 bedrooms which is recently sold, it has 2,998 sqft, 0.0 - 0.25 sized lot, and Attached,Garage parking. A comparable Home, has 4 bedrooms and 3 baths, it was built in and is located at 224 Meeler Cir Athens GA 30622 and for sale by its owner at $ 293,434. This home is located in the city of Athens , in zip code 30622, this Clarke County Home, it is in the Lake Meeler Subdivision, and Bear Creek Plantation are nearby neighborhoods.